Lightweight and super soft, this unisex hoodie from Canvas will be found in both his and hers closets. PLEASE NOTE: Canvas brand items run small. Please pay close attention to the product's measurements in inches before purchasing. Customize your own text tees to say whatever you want. Cool Story Bro? 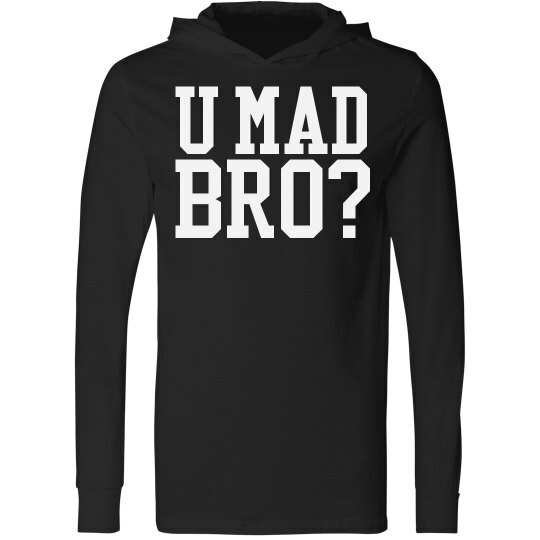 U Mad Bro?